Mmm. We can’t get enough of this fragrant dish – cinnamon and sumac chicken with turtle bean and avocado salad. 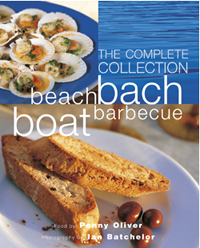 The recipe comes from Penny Oliver’s Beach Bach Boat Barbecue: The Complete Collection cookbook – a work of art in itself. 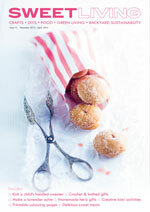 The book includes enticing meals in the four different sections, each celebrating an aspect of the New Zealand summer. It features recipes from the first two books of the same title, both of which became instant bestsellers and award-winners, each reprinted numerous times. With truly scrumptious eats concocted with fresh, top-quality, seasonal ingredients, this stunning lifestyle cookbook is a superb reference for casual summer entertaining. Recipe extracted with permission from Beach Bach Boat Barbecue: The Complete Collection by Penny Oliver, with photography by Ian Batchelor. Published by New Holland, $55.00. Soak the wooden skewers for 1 hour in water before threading the meat onto them. Cut the chicken thighs in half lengthways and thread onto the skewers. Combine the rest of the ingredients in a bowl and mix together. Place the chicken skewers in a shallow dish and pour over the marinade (use a brush to apply extra mixture over the chicken). Cover and refrigerate for 1 hour prior to cooking, brushing the chicken occasionally. Grill the chicken on a barbecue plate over medium to high heat for 3–4 minutes each side, brushing with any remaining marinade as they cook. Cook the turtle beans in plenty of water with the salt until tender. Rinse beans under cold water, drain and mop up any excess water from them with absorbent kitchen paper. Place the beans, avocado, tomato and chives in a serving bowl. Whisk together the dressing ingredients, then drizzle over the salad and gently combine. Cover and allow to stand at room temperature for 30 minutes before serving to allow the flavours to merge.